Dragonfly Organix For your Home Review and Giveaway! Heres the truth… I am stage 3 Chronic Obstructive Pulmonary Disease (COPD). Heres a fact… Chemicals in most cleaners are a serious danger to not only people suffering from breathing disorders, but also to you, your family and your pets. Think tub cleaners are safe? Hmmm! Then why is it FEMA lists tub cleaners, as well as furniture polish, and many others as hazardous household items. To spray around my home for odors and cleaning, I must wear a mask or leave the house, because if not I become short of air, gasp for breath, perspire profusley and my heart rate increases rapidly. Sort of like a fish out of water! So the search was on to find products that are more natural and safer for the environment (AND me). I started looking at organic and natural cleaning products and came across Dragonfly Organix. 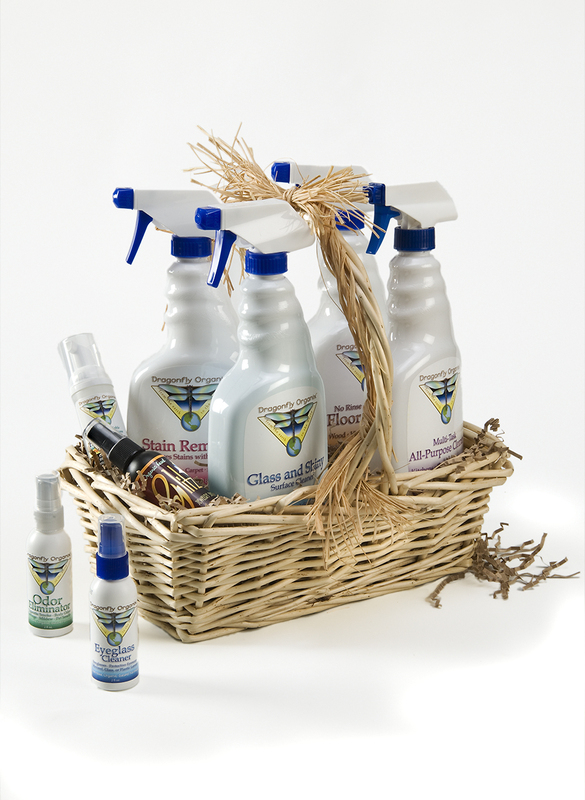 Dragonfly Organix Cleaning Products are made of premium plant based materials. Safe to use around children and pets. They also are listed qualified products in the USDA BioPreferred Catalogue. I contacted Dragonfly Organix and explained my problem with regular commercial cleaners. I also explained I was a blogger. Now the good people there sent me their All Purpose Cleaner, Floor Cleaner, Hand Sanitizer, Degreaser, Odor Eliminator, and Stain Remover. They also sent products for the garden including an insecticide called Garden Neem and Mother Natures Fish and Seaweed Cuisine Fertilizer. I will be discussing the Garden products in another post, but I will tell you a little about Garden Neem here today. Country living is great but when the weather warms there will be flies. The products arrived on one of those warm days and I had been chasing a couple of flies all morning. Now you can guess which product I used first… The Garden Neem. With my trusty mask in hand I sprayed Garden Neem and was pleased to find 2 things – 1. there was no overpowering smell and I could breathe fine, and 2. after a minute Flies dropped! I was so excited that I next used the All Purpose Cleaner on the toughest thing in my home, the cook stove (my husband loves to cook and he is messy). Again no problem breathing and the scent was very light and fresh. as for cleaning power, it dissolved the mess with no scouring. I used the No Rinse Floor Cleaner in the bathroom add-on and again great results. My husband has a room he smokes in. Stinky place and I have a hard time getting the smell knocked out even with an air purifier. I sprayed the room with Dragonfly Organix Odor Eliminator and was rewarded with such an improvement that I can walk in without my mask to clean. Therefore I will have to give all of Dragonfly Organix products a big ‘Thumbs Up’! 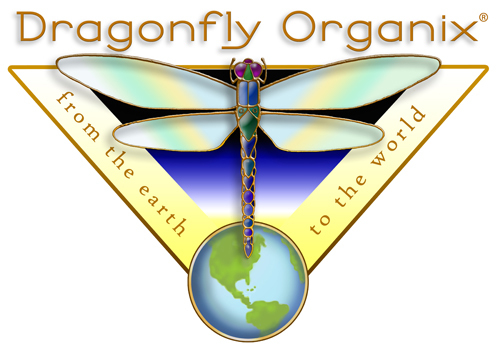 Dragonfly Organix is part of OSM Inc (Organic Sales and Marketing Inc) and are committed to bringing the finest natural products to the global market. Their mission is the ultimate safety of our children, pets, wildlife and planet. Also under the OSM umbrella are Mother Nature’s Cuisine (natural fertilizers) and the infamous Garden Guys (Layanee, Sam and Jim) with their informative gardening website and weekly radio show. You can listen to their podcast on their website. Folks, I could go on and on about these products and wonderful it is to be able to clean without that XXXX mask. Yes that was my version of a cuss word. Now with the All Purpose Cleaner (plus several other products) at the remarkable price of $4.99 (a case of 6 runs $29.94 and FREE shipping), Dragonfly Organix makes it easy peasy to go ‘GREEN’ and natural. Don’t forget to check back for my review on their Garden Products coming soon!!! Glitz Jewelry Shiner – 2 oz. Don’t forget to vote for me for Mom Central Grant program on Facebook. (upper right on this page). Giveaway ends March 27, 2011 at 11:59. Winner will be notified by email.